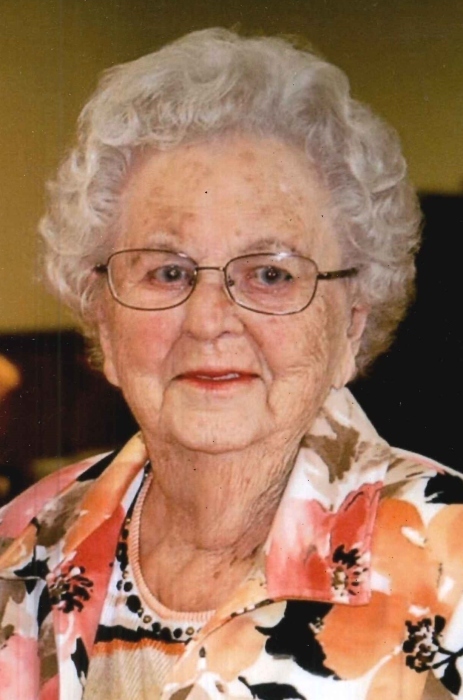 Mrs. Madge “Granny” R. Butts, 94, of Lillington passed away Monday October 15, 2018 at home. She was born in Cumberland County, the daughter of the late Pearlie A. and Letha N. Yarborough Royal. In addition to her parents, Madge was preceded in death by 10 siblings. She loved bird watching, reading and cross word puzzles. Madge never met a stranger and everyone she met became family. Madge is survived by 2 sons, Charles H. Butts and wife Carol of Lillington, Larry A. Butts and wife Nancy of Sanford; 4 grandchildren, Michael, Lisa and husband Chris, Kimberly and John; 2 great-grandchildren, Tommy and Ashleigh; numerous nieces and nephews. A funeral service will be conducted at 4:00 PM Wednesday October 17, 2018 at O’Quinn-Peebles-Phillips Chapel with Rev. Beacham officiating. Burial will follow in Harnett Memorial Park. The family will receive friends at the funeral home Wednesday from 2:00-4:00 PM and other times at the home.